heat up over low to medium heat. 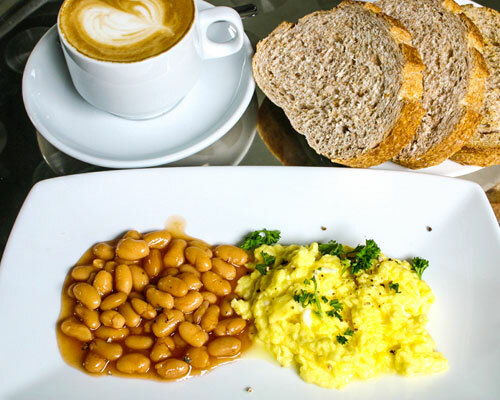 Serve the scrambled egg with baked beans. Sprinkle with parsley and mill some black peppercorn as well. A few slices of toasts at the side complete the beautiful breakfast.